The North Carolina Board of Nursing is interested in ensuring that nursing education programs are in compliance with Rules in order to protect the public through safe nursing care. The Board will consider written and signed complaints about nursing education programs which reflect upon the quality of nursing education and pose non-compliance with education rules. However, the North Carolina Board of Nursing has no purview over school policies, grades, or conflicts between students and faculty. Each program is required to have processes in place for dealing with grievances. Students and faculty are encouraged to follow the appropriate procedure in the institution. Review the nursing program handbook, college handbook, and/or contact student services for the proper procedure. 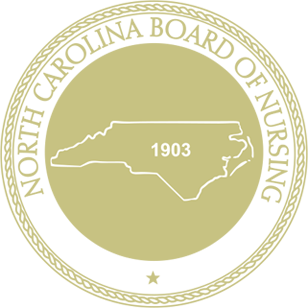 All education complaints received by the North Carolina Board of Nursing must have contact information and a signature of the person submitting the complaint in order to be reviewed.